UPDATE: Indiana State Police have completed their review of the January 25 incident involving Warsaw Police Chief Scott Whitaker. A spokesperson for the State Police says that they don’t conduct internal investigations of other police departments, but can be asked to investigate by a local prosecutor if it is believed a crime has been committed by a police officer. 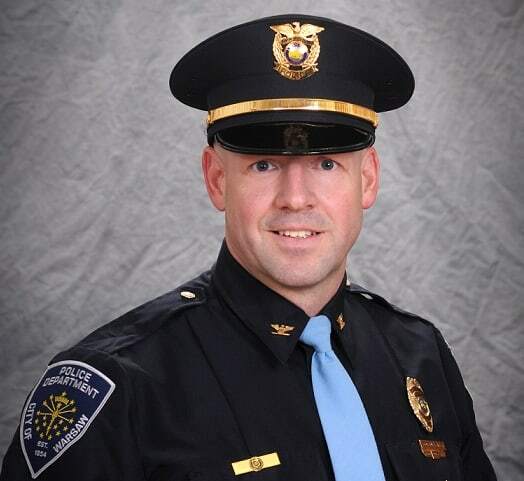 ORIGINAL STORY: When Warsaw Mayor Joe Thallemer announced Tuesday that he had asked Indiana State Police to review an anonymous allegation made against Warsaw Police Chief Scott Whitaker, little information was available. 95.3 MNC’s reporting partners at News Now Warsaw obtained the Incident Report for Jan. 25, the day that Whitaker’s actions are in question. The report confirms that Whitaker was off duty when he observed what he believed was an impaired driver. It was approximately 6:30 p.m. when Whitaker notes the driver almost hit him head-on near Warsaw Fire Station 3 on 200 South. Why are you posting anonymous allegations Carli? Especially on a police officer? Sad 95.3. I thought you were better than that. Give it more thought next time, ok?